Sufjan’s composition, commissioned by BAM, is an ambitious addition to his geographic interpretations Illinoise and Michigan (two entries in his Fifty States Project). Sonically taking on Robert Moses’s gritty highway with a thirty-piece orchestra. Clashing strings and horns evoke swelling traffic jams. Flutes zip through the score, changing lanes with ease. 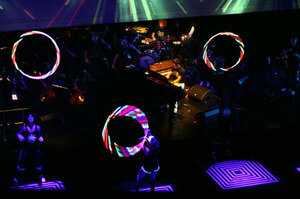 Sufjan paired the music with an abstract film and live hula hoopers. The result is equal parts beautiful, quirky, and a love letter to Brooklyn. With Super-8 shots of neighborhood landmarks and signs—there’s the bright yellow storage building near my house; look, the ugly new loft going up—recognition draws you into the piece. Perhaps a creative exegesis of the hoop might begin to unravel the bureaucratic mysteries of the interstate roadway, the automobile, and the Hula Hoop’s unlikely nemesis: Robert Moses. A renowned critic of idle recreation, Moses often orchestrated his park projects around more competitive, athletic endeavors: mammoth swimming pools, diving boards, baseball diamonds, and tennis courts. These hefty, utilitarian designs were modern responses to Frederick Law Olmstead’s romantic topography intended for less strenuous activities: afternoon strolls, Sunday picnics, and, perhaps, Hula Hooping. Of course, there was nothing natural, bucolic, or egalitarian about Moses’s park designs: blocky, boxy cement landscapes that resembled more prison yard than public park. Indeed, his roadways often took this aesthetic to the extreme. Like most highway projects of the time, the BQE was an execution of bullishness mixed with economic fastidiousness, a project that championed commerce, cars, and the commuter work force in spite of the “disorderly” charm of Brooklyn’s network of villages and neighborhoods, settled long before the automobile. Although the triad is almost too much to watch at once, all parts came together at for one brilliant moment: five hula hoopers twisting their hips in unison, speedy road music, and film of driving at night. The conceit drops away leaving only rhythm and motion. Last week I was Googling for an image of Marshall McLuhan’s 1967 classic, The Medium is the Message, and I came across an archival entry from Sam Jacob’s StrangeHarvest. 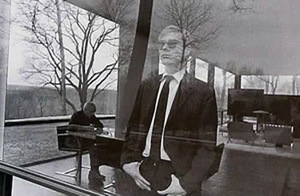 The amazing post, partly cribbed from an essay he wrote for Volume, places Andy Warhol and the Velvet Underground within the Philip Johnson’s terrarium-like Glass House. The same year as McLuhan’s treatise, the Factory tripped out to Connecticut for a benefit for the Merce Cunningham Dance Troupe. And somewhere between Lou Reed, Electricity, Marshal McLuhan, and Andy Warhol - I forget exactly the circumstances - I drew a comparison between the translucent walls of the Johnson Glass House, and the metallic-reflective walls of Warhol's silver Factory. They seemed like related opposites: spaces that were very similar, famous for the material surface of their walls that were both materials which both fascinated modern architecture. Both had qualities that embody modernity - transparency, reflection, flat and smooth, seamless, almost textureless, technological, industrialised, cold-to-the-touch and factory-formed into sheets from molten state. The Glass House and the Factory are like opposing twins. There is a curious correlation between a mess of quotidian stuff and gayness that I am still worrying over. It is all the stuff that is banished from Johnson’s manse, and from Ice Storm modernism in general. Is it as simple as a Manhattan vs. New Caanan polemic? I am not sure where I am going with this line of questioning yet, my guess that there is a wealth of texts covering this territory, so I’ll report back soon. Interestingly, around the same time as when Warhol visited the Glass House, he started filming the explicit and hermetic I, a Man, in which Valerie Solanas makes an appearance. A trillion years ago Mike was in the band Black Tambourine. A billion years ago he co-founded Slumberland Records and went on to release Stereolab and Velocity Girl singles. A million years ago Slumberland released records from my favorite San Francisco pop band The Aislers Set. 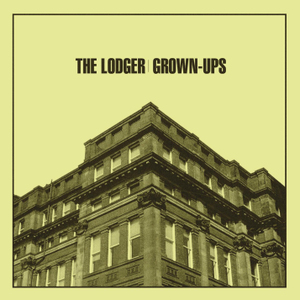 Now, after a little quiet period in the catalog, Slumberland is back with more catchy melodies: a new album, Grown-Ups, by The Lodger. The Lodger is on tour this month and you can download the hit "Let it Go" on the Slumberland site and stream the whole album on myspace. It’s been happening for a while now and, I suppose, I’ve been recalibrating and preternaturally bracing for the full-fledged revival of my 1990s. I say my because the dates and influences aren’t clean—I picked up on some late-80s stuff late and I’d be hard pressed to clearly call anything by a proper label such as riot grrl or grunge. My fandom has never been categorical. Courtney Love was on Studio 360 on Sunday, babbling on about her fucked-up life and Kurt and Francis. I listened inattentively, my ears perking up only when the producers played a clip of Doll Parts off Hole’s 1994 album, Live Through This. The sound is vinegary. Instantly, I am transported back in time, not to some show (although I seem to have a vague recollection of catching Hole on tour through Ithaca), but into architecture studio: headphones on, hunched over a drafting board, drawing lots and lots of lines. 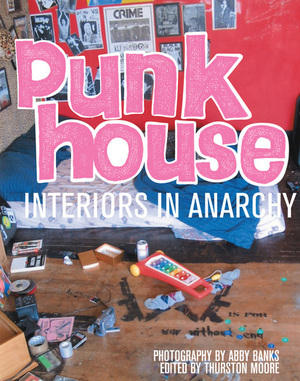 In retrospect, it makes a lot of sense that my thesis was bathhouse in San Francisco based on corseting and peepshows, seeped in feminist architectural critique, given my steady musical diet of Hole, Liz Phair, Belly, and the Breeders. More time travel today. I walked into my local coffee shop, Outpost, a bright spot on a particularly run down stretch of Fulton Avenue in Brooklyn. The foppy server has the Pixies’ Surfa Rosa playing on LP. Kim Deal hollers “This is a song about a superhero named Tony It's called: Tony's Theme,” and wham, back at the drafting board marking time in graphite. I have to admit that it is not quite authentic to play that 1988 album on vinyl; he’s a twenty-something Pratt student, so I’ll cut him some slack on the record-playing pretension. For me it is all about cassette. I was thinking about cassettes a couple weeks ago when Sonic Youth headlined McCarren Pool. They played their 1988 Daydream Nation start to finish: balls-out rock ‘n roll kicked off with the opening chords of Teen Age Riot. It is an unnatural way to present the music live. Bands always mix up the hits, otherwise it’d be like singing along in the car, but without tape hiss. 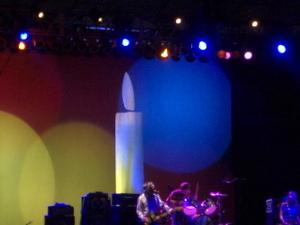 Playing Daydream Nation in its entirety preserves something that never happened: it fictionalizes, makes an art piece. Is it Fluxus or an easy way to recontextualize and commodify Sonic Youth for a younger generation? While my musings on retro have yet to really codify, they began while standing in the aquamarine pool, the remaining paint flaking off while luxury condos, in various states of construction, rise tall around the perimeter. The space is a vestige of 1936 Robert-Moses brand optimism, layered with 80s nihilism, and today’s narcissism, or is it apathy? Hard to say. 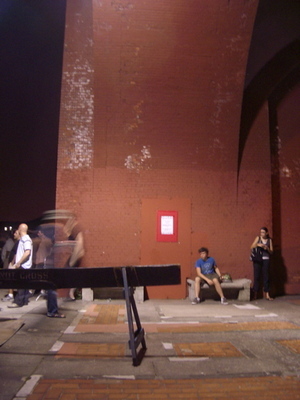 The band sounded great, the people looked cool, and Kim Gordon danced around the stage with abandon.